Our wooden garages are perfect for keeping your classic car or second vehicle, your motorbike and all gardening equipment well protected and secure. 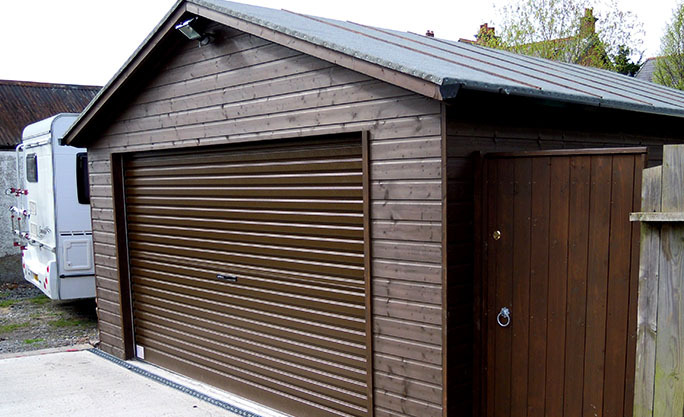 Indeed, many of our wooden garages offer generous space to double-up as outdoor storage units or even garden workshops. With the option of being fully lined, insulated and wired, they provide all the functionality of their brick-built cousins at a fraction of the price. In fact, some might say that their seasoned tongue & groove Scandinavian pine finish, with cedar shingle roofing, is considerably more attractive than mundane brick or render garages.